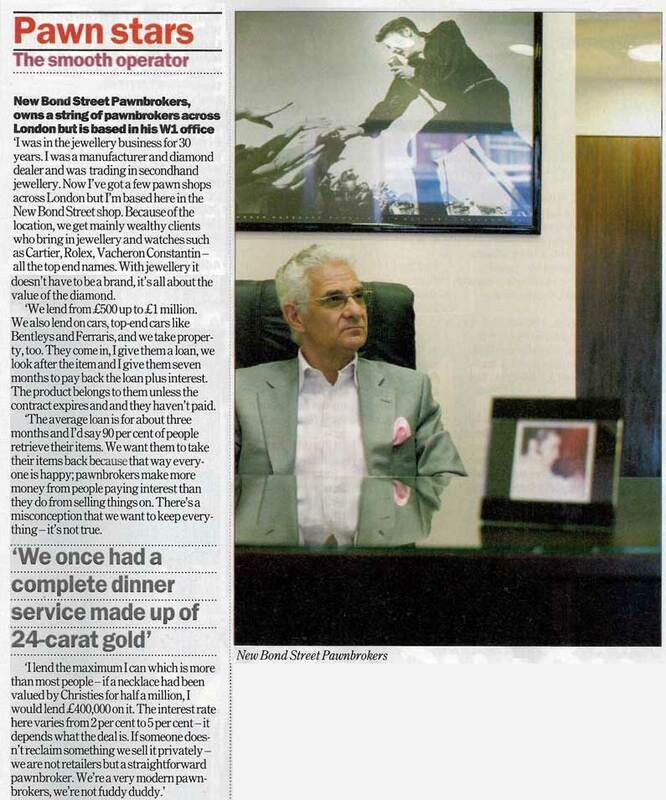 From the heart of London's Mayfair, New Bond Street Pawnbrokers has over 60 years' experience brokering luxury assets. We offer discreet, professional pawnbroking and instant asset-based loans for fine art, jewellery and watches, diamonds and gemstones, fine wine and antiques. As London’s leading pawnbrokers, we pride ourselves on delivering an excellent, high-quality service. A market leader within the fine art loans industry, New Bond Street Pawnbrokers has a well-established fine art loan, collectables and antique department, providing financial solutions and a pawnbroking service to an exclusive clientele that includes investors, collectors and dealers alike. 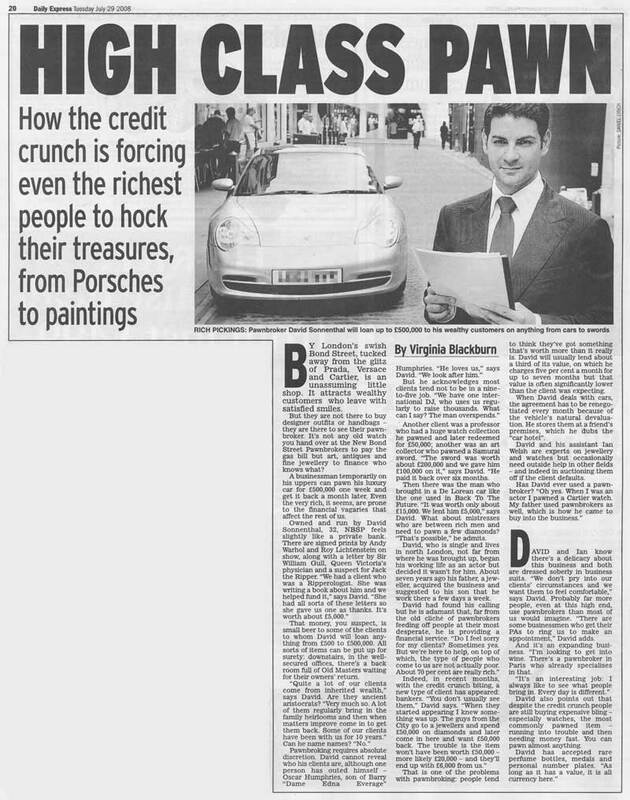 If you’re looking for a London pawnbroker with excellent experience in fine art loans, get in touch! 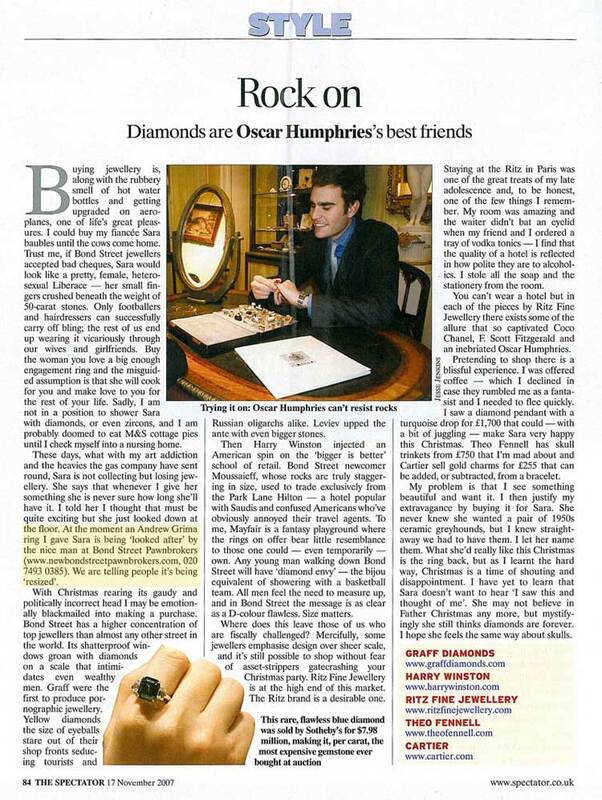 New Bond Street Pawnbrokers provide loans against modern, vintage and antique watches, made on current market sale value. Our watch appraisal team has extensive experience in trading and valuing fine watches. From art nouveau pieces by Rene Laque to modern Cartier jewellery, our experts can advise on all types of jewellery, be it modern, vintage or antique. We have over 60 years of jewellery, diamond and precious stone trading experience, enabling our clients to get the highest possible value for their pieces. Whether it’s been collected for financial gain or pure pleasure, New Bond Street Pawnbrokers offer loans against a wide selection of fine wines, including champagne, port, madeira and cognac. When evaluating a loan price, our team of experts considers all aspects and details of the wine bond or collection. We are experienced in dealing and broking wines from London to Lombardy.